After an epic final tie at the VICTOR Oceania Team Championships 2018, the Women’s and Men’s Teams from Australia will compete at the TOTAL BWF Thomas and Uber Cup Finals in Bangkok, Thailand in May this year. 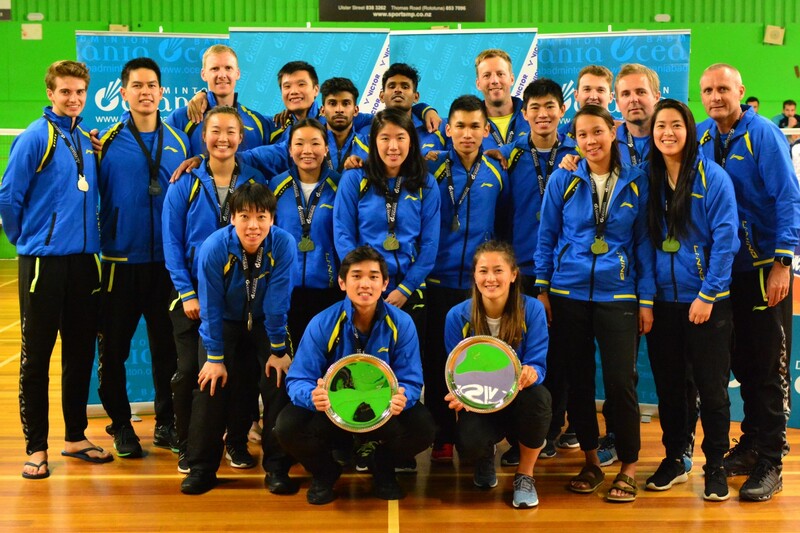 Read on for more highlights from the final matches at the Oceania Team Championships. 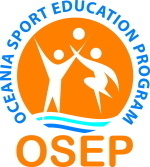 It was the clashes of Australia versus New Zealand, and Fiji versus Tahiti in both the Women’s and Men’s Team events, for the last round robin tie at the VICTOR Oceania Team Championships yesterday. The Women’s Teams were first to play in the afternoon at the Waikato Badminton Stadium in Hamilton, New Zealand. Prior to the final tie, both the Aussie and Kiwi women had not dropped a single match throughout the competition, setting a precedent for the close matches ahead. Sally FU (NZL) put up a long, hard slog to take the first win for the Kiwis in the singles against Jennifer TAM (AUS), 21-18, 15-21, 21-19 – the longest match in the women’s team championships lasting 48 minutes. The second singles saw Joy LAI (AUS) beat Gaea GALVEZ (NZL) in straight sets, 21-15, 21-15 to bring Australia back on track. In the women’s doubles, two-time Olympian Leanne CHOO Choo paired with Gronya SOMERVILLE for the Australian side and took an easy win against Kiwis Erena CALDER-HAWKINS and Commonwealth Games representative Susannah LEYDON-DAVIS (21-7, 21-7). Setyana MAPASA (AUS) teamed up with Joy LAI (AUS) in the second women’s doubles. The split of top Australian Women’s Doubles pair, SOMERVILLE and MAPASA, may have hit a nerve, as Anona PAK and Danielle TAHURI (NZL) outplayed LAI and MAPASA in 3 close games (21-19, 16-21, 21-18). However, the win came a little too late, as Louisa MA (AUS) had sealed their fate in the match prior, winning over Justine VILLEGAS (NZL) in the third Women’s Singles (21-12, 21-15), anointing Team Australia the champions, 3-2. On the neighbouring court, the Fijian Women’s Team earned their Bronze medal place without dropping a match. A valiant effort from Tahiti to break the pattern came out of the third Women’s Singles, where Méissa Mi You (TAH) got close to a win. However, Carline Bentley (FIJ) held her ground and won 21-19, 21-17. In the Men’s Team Championships last night, it was the Fijians that were fighting for a break against Tahiti. The Fijians started the right way, with Liam FONG (FIJ) winning the first match of the tie, a Men’s Singles against Louis BEAUBOIS (TAH) (21-16 21-18). However, Team Tahiti won their next two Singles and got up 2-1 over Fiji. In the following match, Ahmad ALI and Burty James MOLIA (FIJ) worked hard in the Men’s Doubles against Tarepa BOURGERY and Greid TERIITANOA (TAH). But it was the Tahitian pair that outlasted the Fijians in a gruelling 55-minute match (23-25, 26-24, 21-18). At the end of the tie, the Tahitians took the Bronze medal, defeating Fiji 3-2. The real treat of the night was what became the Gold and Silver playoff between the Australian and New Zealand Men’s Teams. The Kiwis pushed through like a bull at a gate to win the first two matches of the round. Pit Seng LOW (AUS) came close to preventing the 2-0 lead but was caught out by Oscar GUO (NZL) (21-7, 16-21, 21-7). From that point onwards, Australia could not afford to lose a match for any chance at the Gold medal. The next match was a Men’s Doubles with ex-Olympians Robin MIDDLETON and Ross SMITH (AUS) up against previous Commonwealth Games representatives Kevin DENNERLY-MINTURN and Oliver LEYDON-DAVIS (NZL). With the Championship title at stake, there was heated debate on and off the court from both teams and spectators, who were already at the edge of their seats. But after 3 games played out in 53 minutes, the Australian pair prevailed, 16-21, 21-15, 21-12. The change in tide was welcomed by the Australians. Recent Olympians Matthew CHAU and Sawan SERASINGHE (AUS) beat Abhinav MANOTA and Maika PHILLIPS (NZL) in the next Men’s Doubles, equalising in matches to the Kiwi Team. Which meant the last match of the night, the Men’s Singles between Ashwant GOBINATHAN (AUS) and Michael FOWKE (NZL), was the final decider for the title. GOBINATHAN squeezed in the win for the first game, 21-8. But by the mid-game break in the second, FOWKE jumped ahead in a 11-4 lead. However in an unexpected turn of events, GOBINATHAN dug deep to catch up to 15-all, then closed the match after setting 22-20, surprising all spectators, players and officials. 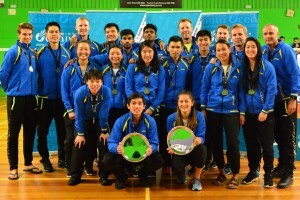 Badminton Oceania congratulates the Australian Men’s and Women’s Teams for their win at the VICTOR Oceania Team Championships 2018, who have now qualified to compete at the TOTAL BWF Thomas and Uber Cup Finals – the world men’s and women’s team championships for Badminton – in Bangkok, Thailand later this year. Coming up next, the region’s top players will compete individually for the VICTOR Oceania Championships at Waikato Badminton Stadium in Hamilton, New Zealand. 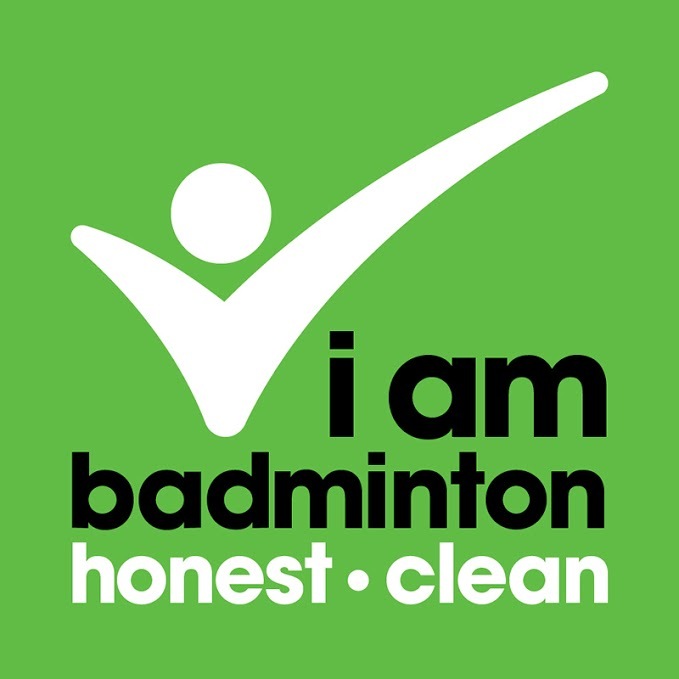 You can watch all the upcoming action LIVE on the Badminton Oceania YouTube Channel – or watch back on all the past matches from the week here. Full results from the VICTOR Oceania Team Championships can be viewed on Tournament Software here.